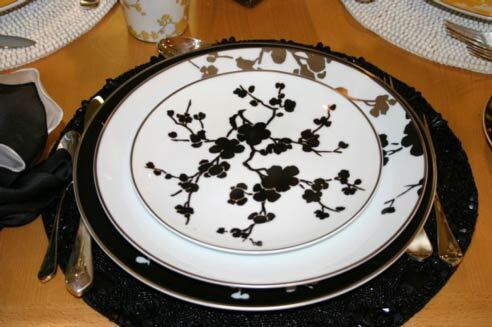 The hand-painted china of Arlington's Anna Weatherley made history last week when it was chosen as the first "informal" White House china. 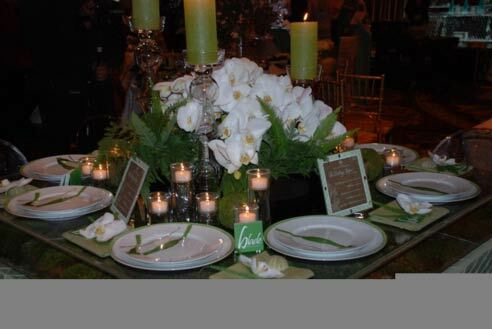 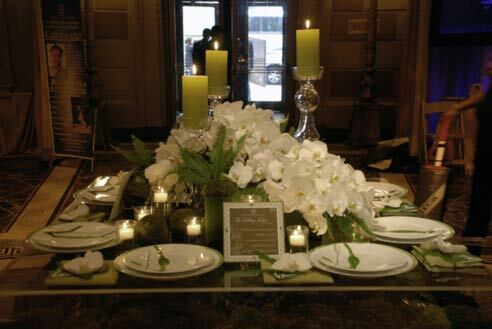 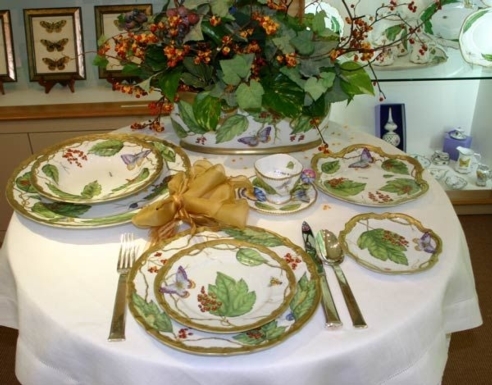 First lady Laura Bush showed off the custom Magnolia Residence China Service to reporters on the table of the Family Dining Room. 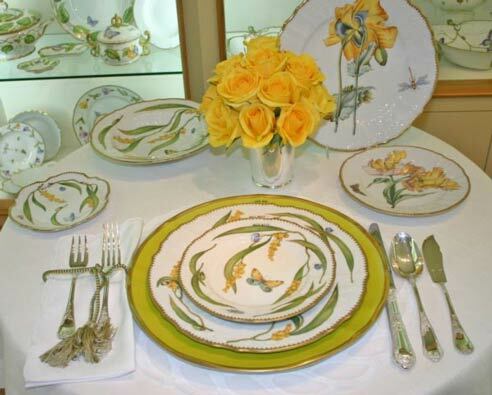 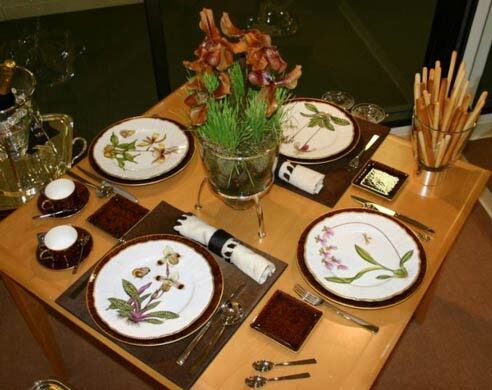 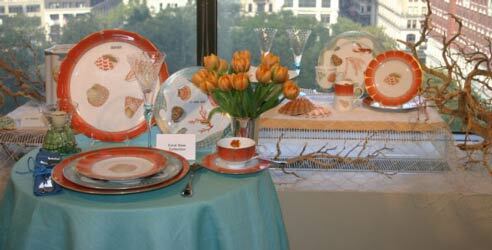 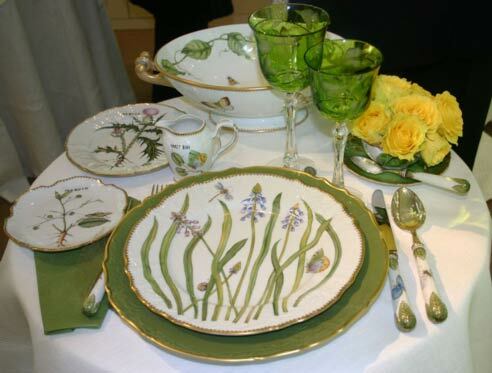 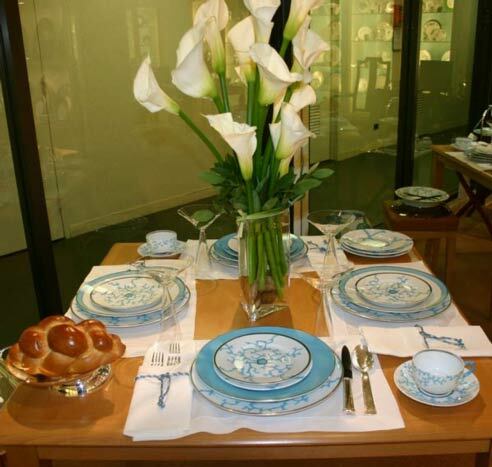 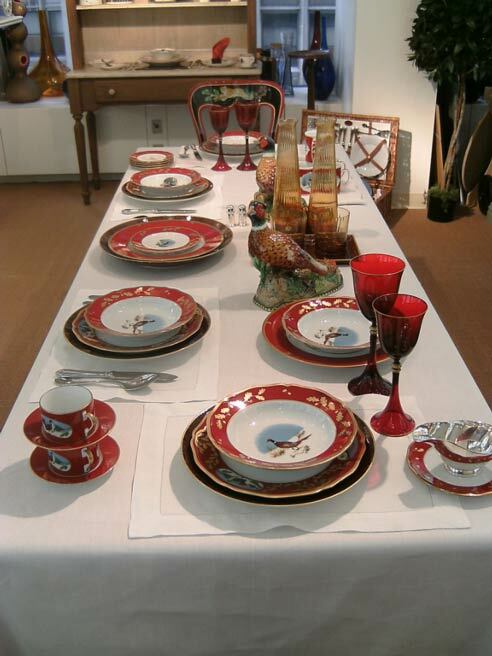 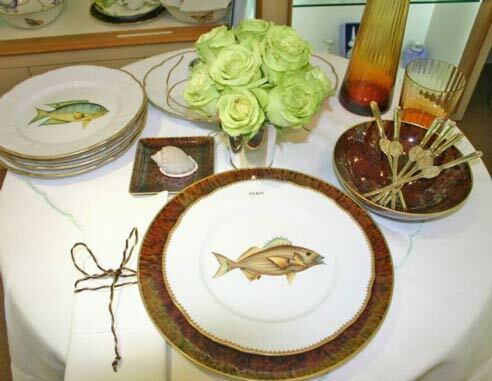 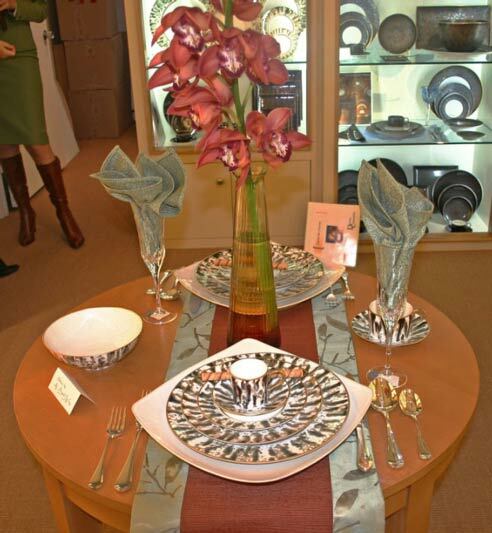 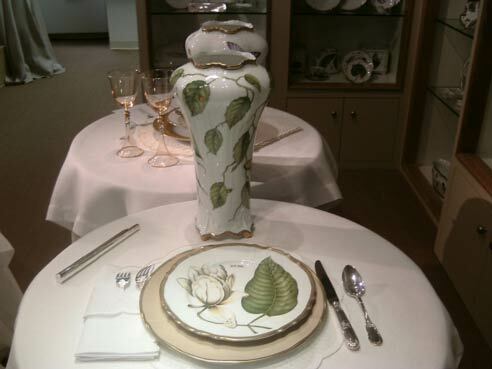 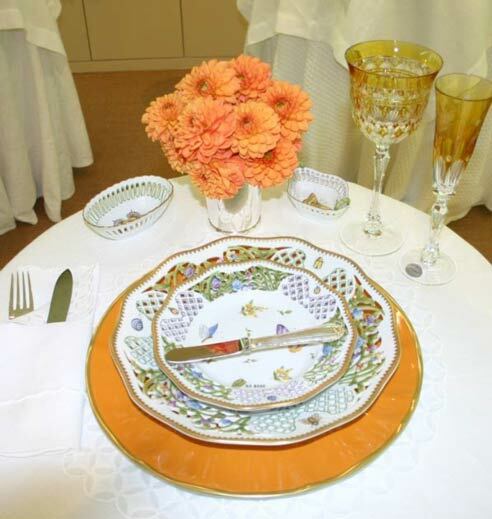 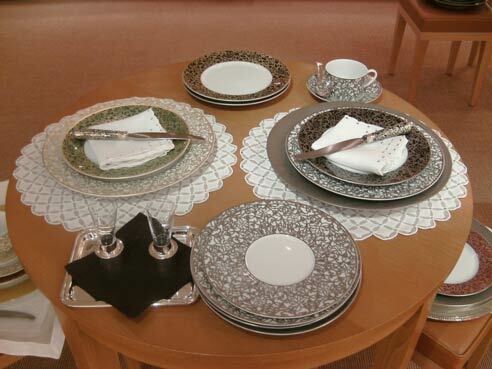 The dishes, made by Pickard China in Illinois and hand-painted by Weatherley's artisans in Budapest, are meant to be used in the private quarters of the White House. 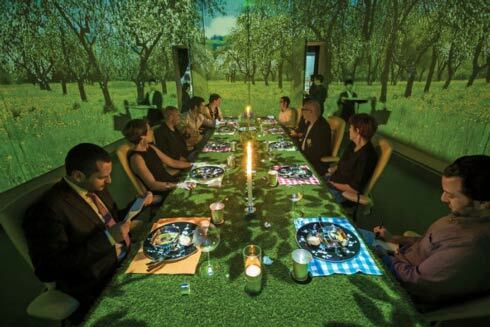 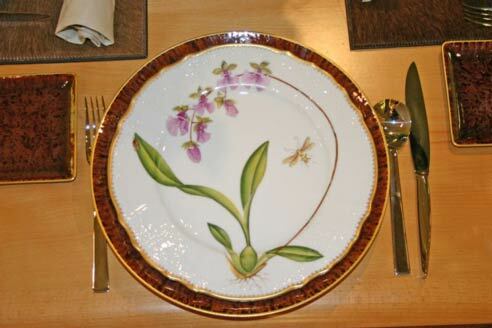 Weatherley says Bush had seen her work on several friends' dinner tables. 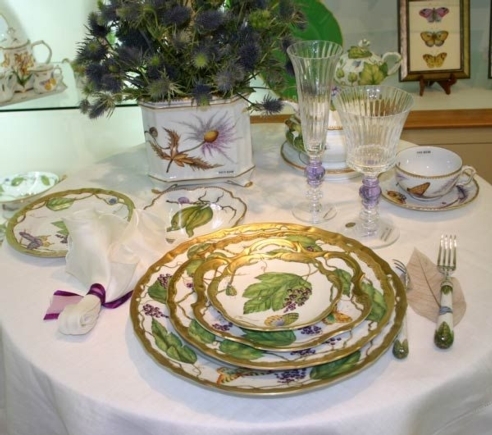 Pointing out intricate details on the magnolia blossoms and leaves and the fanciful dragonflies and butterflies, the first lady commented, "Anna Weatherley is a true American success story." 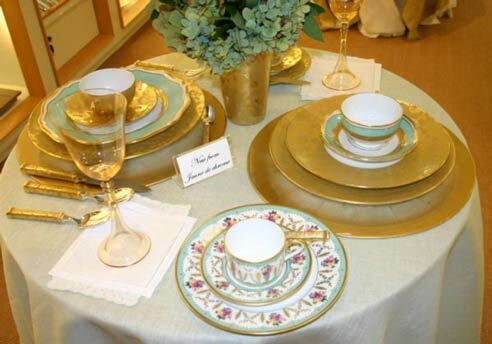 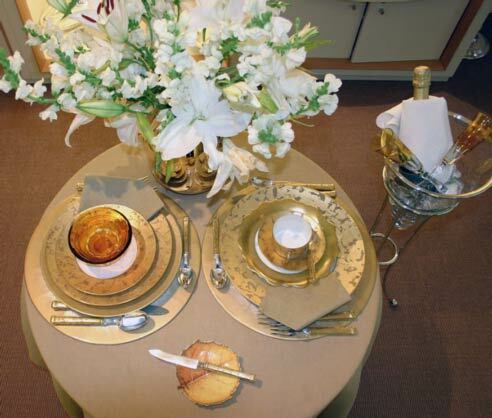 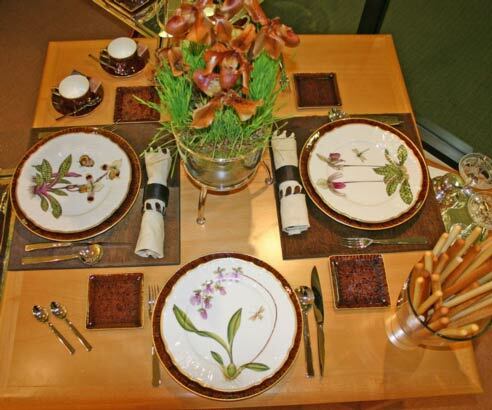 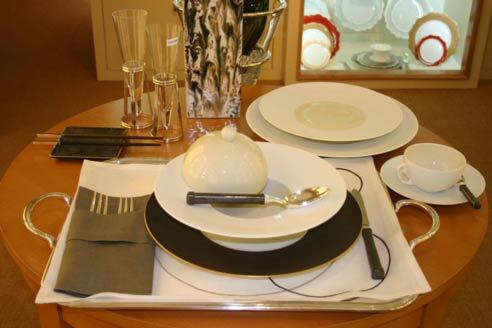 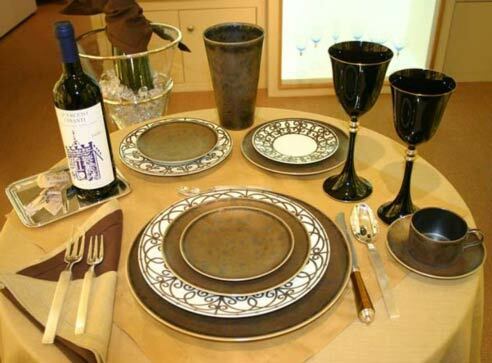 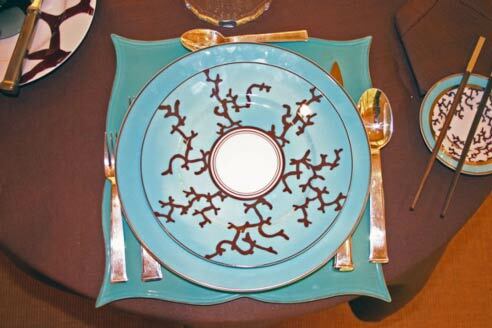 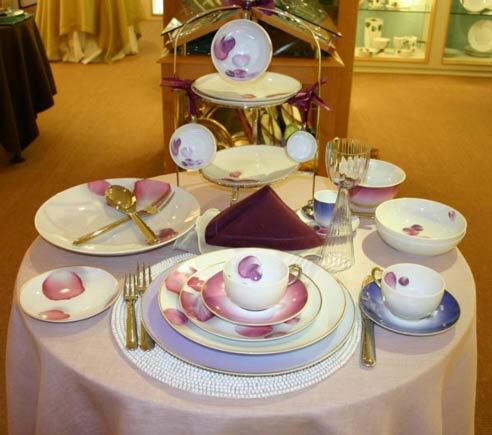 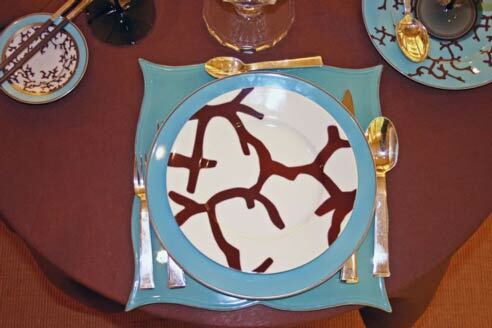 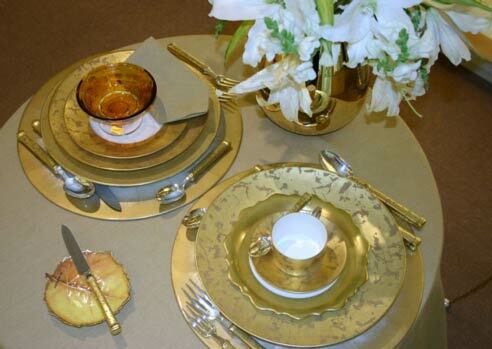 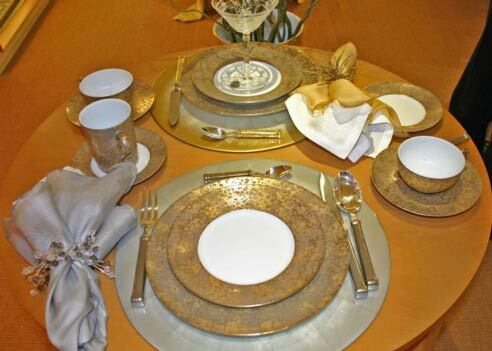 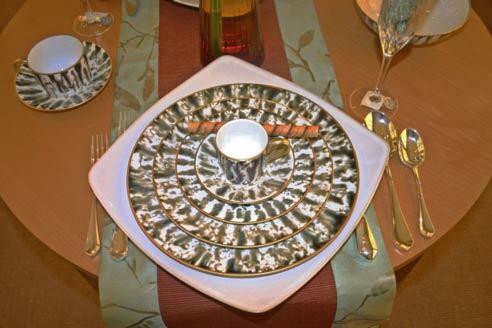 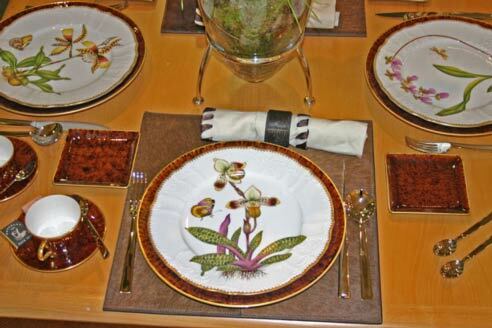 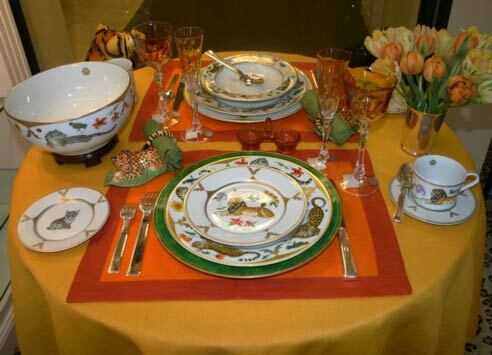 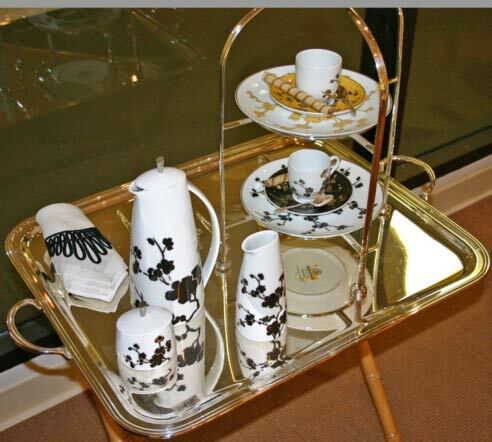 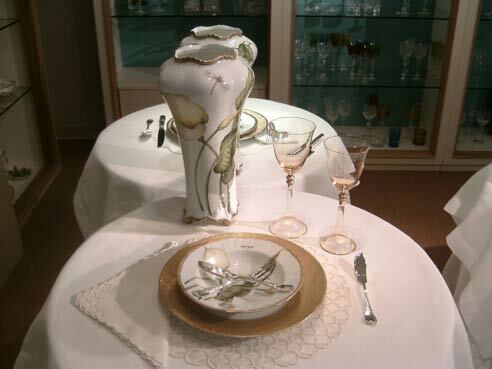 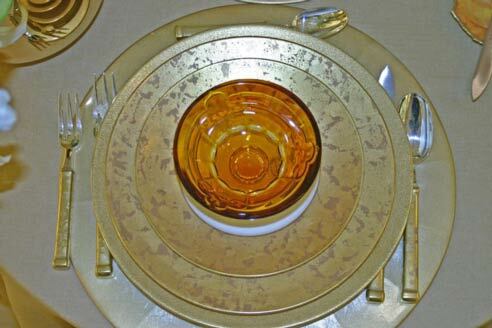 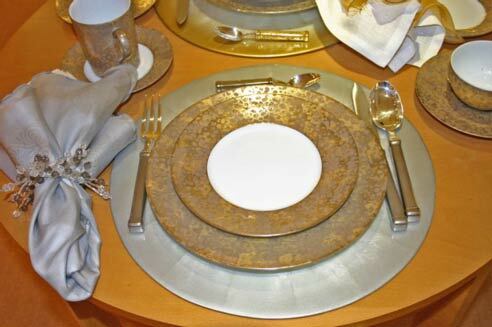 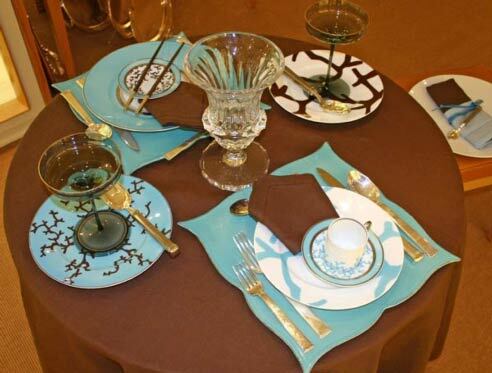 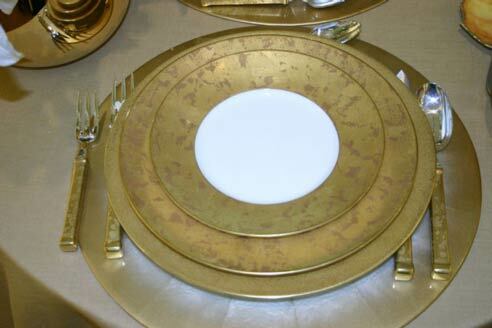 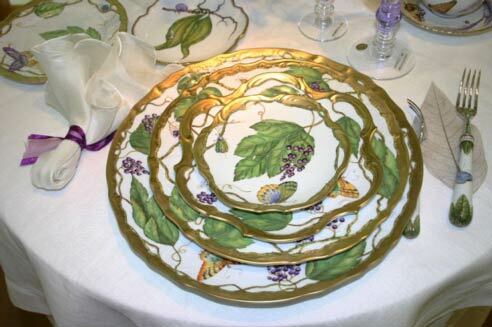 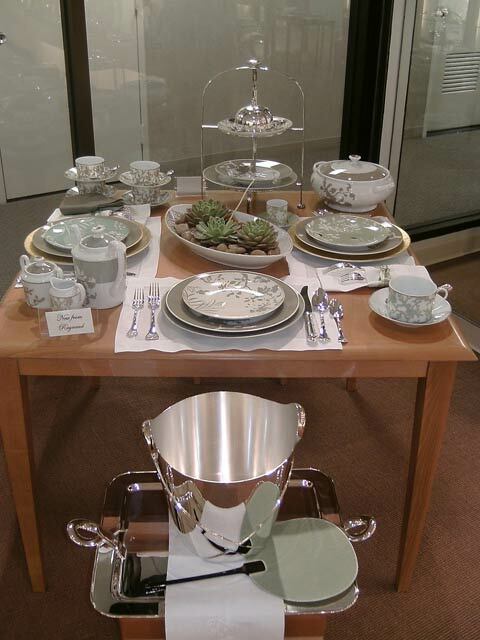 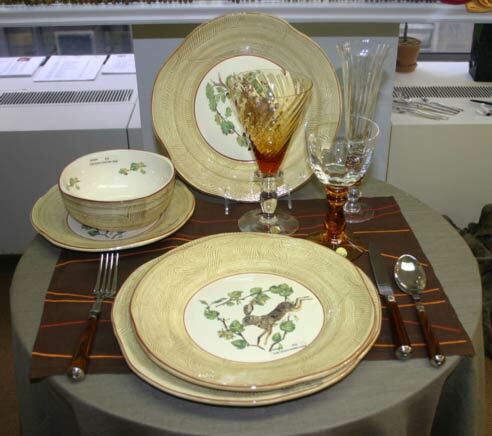 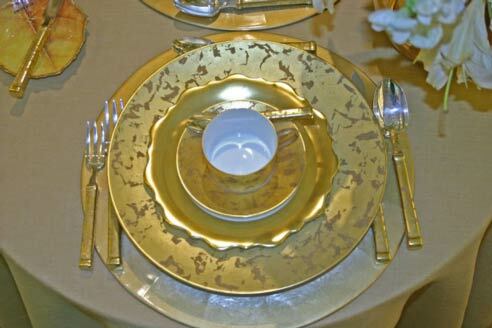 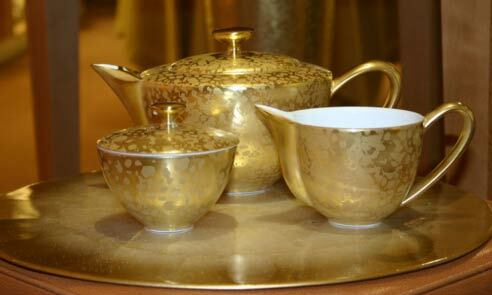 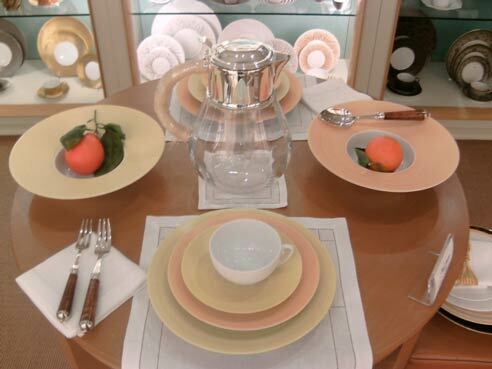 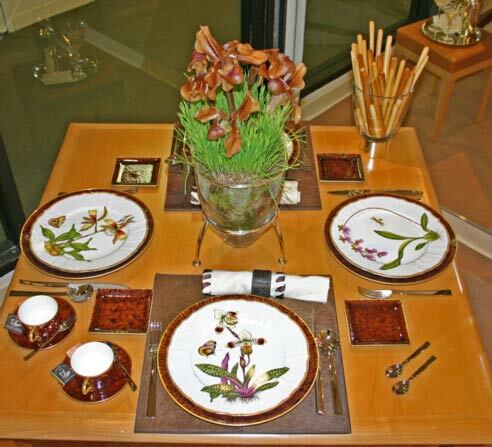 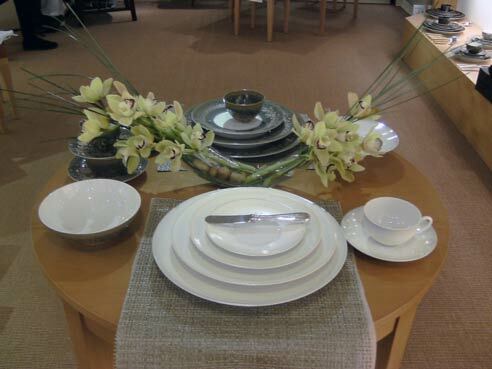 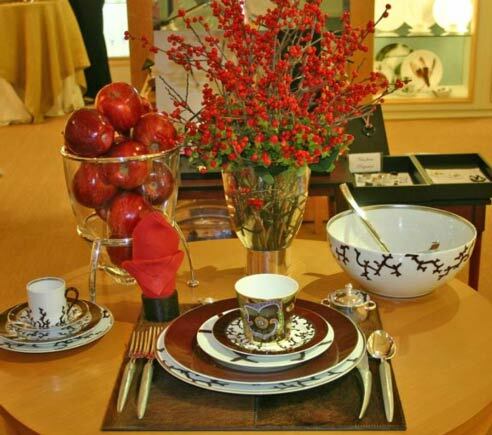 Raynaud Caroline Incrustation dessert and cup and saucer, Jaune de Chrome Feuille D' Or dinner and dessert plate.